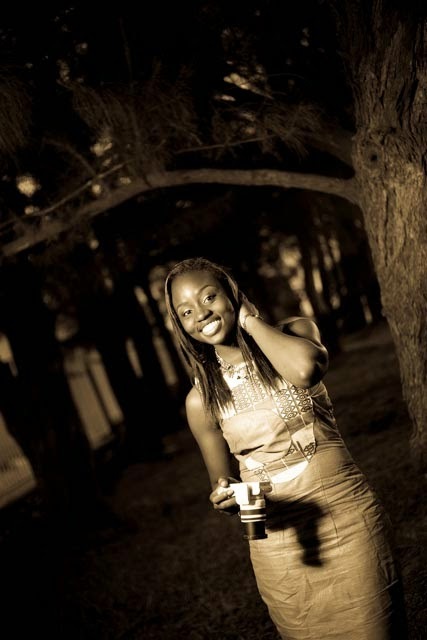 Exclusive Interview: Award Winning CEO of “Oludidit”, Banke Fasominu has got IT! I knew Banke in the University of Ibadan. She was a fine undergraduate babe, living the normal undergraduate life, or so I thought. Banke branched out from being just an economics student to becoming an entrepreneur. I remember when she handled the make-up for a particular photo shoot, I couldn’t help but notice that she was professional and she knew exactly what she was doing. Since then, I have been using “side eyes” to monitor her, because I was so sure that she would succeed because of her immense drive. On the 25th of October, 2014, Banke shared a post on Facebook about her journey and the journey of her brand “Oludidit” and her story is very inspirational. Her business now incorporates interior design with such a unique African flavour. It is obvious that her products come from a place of innovation and I know that Banke has only just begun, because if my suspicions are right, she has many other fantastic things in the offing. Educational Background: Whew. I’ve had a little share of moving around. I started my primary education at Osua staff school, Ado-Ekiti, and finished it at Parker Experimental school, Akure. My secondary school was at Igbinedion Education centre, Benin city. Before I went off to study Economics at the University of Ibadan, I did Cambridge A levels at the Educational Advancement centre Ibadan. I’ve also done some online certifications on Coursera and other platforms since I left the University. What do you do: I do very many many things. I eat, I pray, I sleep, try to dance (but fail at it)… I also do a bit of public speaking, little writing, crafting, make-up artistry and interior decor. But I decided to build a business of adding beauty around interiors and the make-up artistry. That’s how Oludidit came about. Oludidit provides interior solutions with a rich blend of African heritage and the western culture and renders professional beauty services. I’m slightly biased in my interiors towards the African heritage, because Africa is just too rich and fabulous to ignore. 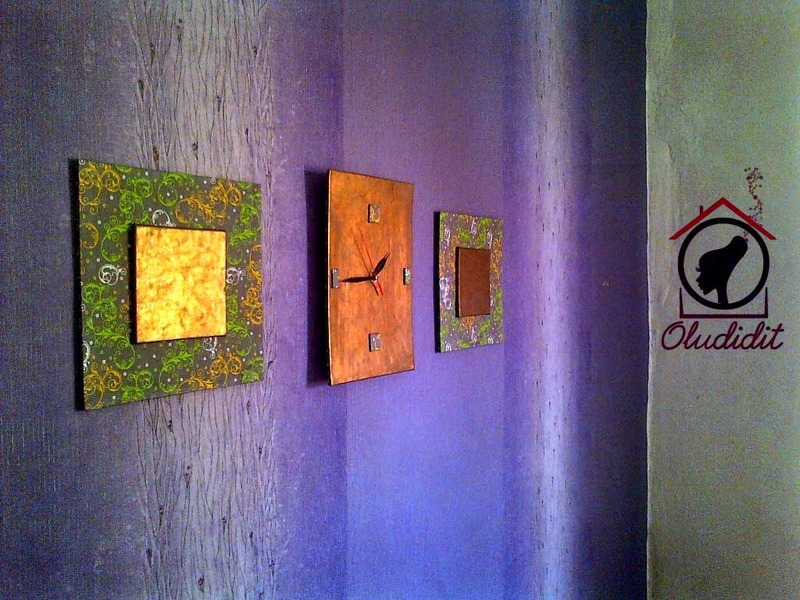 So far, I’ve manufactured decor accessories such as picture frames, other wall decor, clocks and useful crafty things. But the product line is widening up to include cushions (throw pillows), window blinds and wallpapers…all in African prints! Wi-fi. Hehe. Internet is such a big deal and getting data to do ALL that I want to do online is costly. Electricity! Electricity supply is crazy here yo! We’re left at the mercy of generator sets and by the time everybody turns to this, the noise is just killing. I can’t even hear myself think. Money. I like the good things of life and perfection and an amazing packaging. But these things cost money. Money does make the world go round. There are times that I enter an African fabric store and I fall in love with ALL I see. In fact, I start seeing the different possibilities I could create with them but I just end up buying one or two and leaving because there isn’t enough cash…yet! Business intelligence and customer relations. Book knowledge can be as far from reality as heaven is from the earth because guess what? People are diverse! Behavioural patterns are different and social influences affect buying decisions a lot. I used to think everybody was like me until I met some very peculiar people. And I still do, everyday. I used to be so terrible at relating with different sets of people but I’m learning to be flexible. Meeting people. I used to be a shy person. Even now, I use the phrase “used to be” with caution. I was really to myself. The kind of girl who would go to a party and be in a corner pressing her phone. Yep, that’s me. But I’m learning to meet people, to start conversations, engage people too. Shyness and entrepreneurship don’t go together at all! The first networking event I attended, I almost died. I wanted to run back. But I made it, clearly. Hehe. Finding like minds. Because my business is original, anybody that’s going to come aboard, besides the need for training, would need to have a passion for creativity. Most people just want to make money and move. It’s been slightly challenging seeking people out. “Small-girl” factor. Some people are just proud and disrespectful. I was at an exhibition one day and my stuff were pretty much sold out. One big-sized man came by and had the most disgusting facial expression. He said “why is your table so scanty. Where’s your boss”? You know like you’re trying to reprimand a child that has offended you badly. I conjured my straightest face ever and said, “Hello sir, my name is so and so and this is my business. Is there something you want me to do for you?”. At an exhibition- Boss Lady! Kai I was vexed. So going to events and all, I can’t just be the 23 year old that I am. I try to look older so people stop asking me where’s your oga. Some Nigerians don’t just chill. I know for sure that respect cuts across all age groups, but because some people have issues with insecurity, they’re not happy until they bring someone else down. How did you start: From my second year at the University, people would just come and meet me and ask me to do make-up on their face to go for a dinner or any outing like that and I would just be so thrilled and pick up their tools (I didn’t even have any myself) and rub something on top of the other. In my mind, I was having fun, but to them, it was such beauty. I did a number like that until I also bought some cheap make-up products for myself but I knew I was just playing. I knew someone then (still know her) that was a House of Tara beauty rep and she just wouldn’t let me be. She wanted me to get professional training done and make it official. I wasted time though until 2011 when I finally did. For the art, I actually started before I knew I had started something serious. I used to watch two art shows that had such a big influence on me – Art attack and Fingertips. They had a lot of DIY (do it yourself) art projects and I would write them down step by step, and then recreate them. When I was in primary 4, we decided to raise funds in my class to buy our teacher a send forth gift. I did a compendium of my art projects and made a book I titled “crafts for beginners”. I sold it for N150. Today, I will pay anything to get that book. I don’t even remember the details now. Fast forward a couple of years, we had just resumed final year and the students’ body decided to protest a no-water, no-light situation within the campus and the school authority responded by sending us home for a while. I was bored out of my mind until one day, I thought of making a picture frame. I went out the next day to a carpenter’s shop and bought things by sight. If I saw something I thought I could use, I bought. By the time I got back home, I had a hand saw, hammer, wood glue, brushes, nails, measuring tape and sandpaper. And I made my first picture frame. By the time I got back to school (after like 5 weeks), I was a different person entirely. I would go to a sawmill and buy wood and take to the maintenance department of the school to saw them neatly. Then I would take them back to my room and work on the floor. I had to make friends with the carpenters so I could always get free entry. By March 2012 (I think), I had sold a number of picture frames made from wood and fabric. The business arm of my campus fellowship wanted to start projecting adverts of businesses owned by the members after each service but each business had to have a name. This was the point I had to get a business name. It took me up to two whole months to come up with Oludidit. Oludidit is a mix of Yoruba and English language meaning God did it. Toughest decision you have made: Refusing to settle for a fast, good and easy paying job should be it. My business is just taking off and I’m not paying myself real big just yet but quitting for something “easier” isn’t at all on my to-do list. What has been your most rewarding moment: When a client picks up her order or when I’m done applying make-up on someone’s face and they just can’t put the mirror down in excitement, that does it for me. I feel like “yea!”. Other times, it’s when I successfully convert a sketch to a finished work. I literally slap myself a high-five. I’m usually amazed at the things my hands create…and it’s all to the glory of God. Do you have any fears: Yes! Sometimes there’s this overwhelming feeling of insecurity. I’m losing my mind asking myself if I would be accepted, if my products will be appreciated, if I really know what I’m doing or I’m just playing and wasting time. But I’ve learnt that fear is a spirit. At those times, I run to God and drop all my insecurities at His feet. I may not immediately feel like all the fears are gone but I’m confident that whatever happens, God is with me and the assurance of His presence is bankable. He’s always got my back and if He did it before, He will do it again and again! And finally, if there’s any skill you’re really good at and you love doing, you owe it to yourself and to God to pursue it with all your might. It’s easy for those around you who may not understand like you do to try to talk you out of it, but practice deafness. Let your success shut them up. It may be hard initially but find better ways of doing your work and continue! “To thine own self, be true. ” – Shakespeare. Need I say more? You can also have IT, if you get up and just do it!